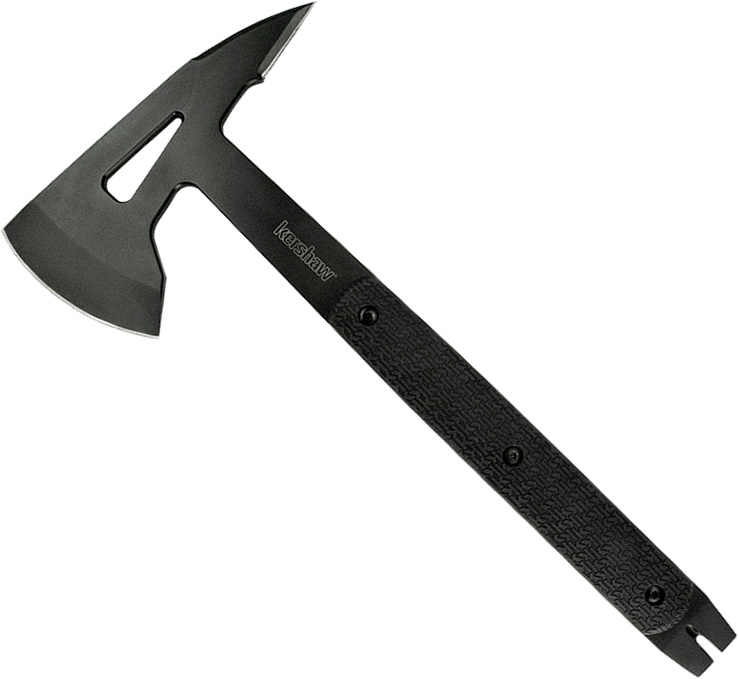 Kershaw Siege Tomahawk 1073X is a four inch full tang construction. This blade has one side that ends in a tooth shaped edge and the other side is a full rounded edge. 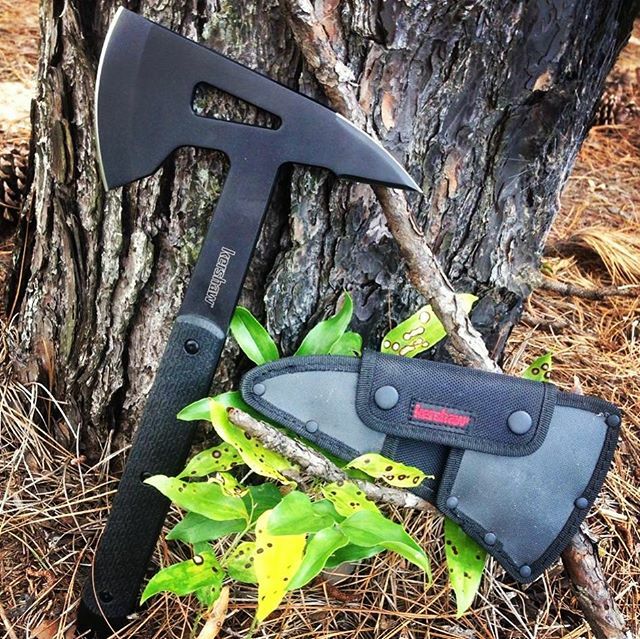 Front and back is coated with a black oxide coating. The handle has the rubber over mold with the special K grips exclusive to Kershaw, these letters help secure your grip. 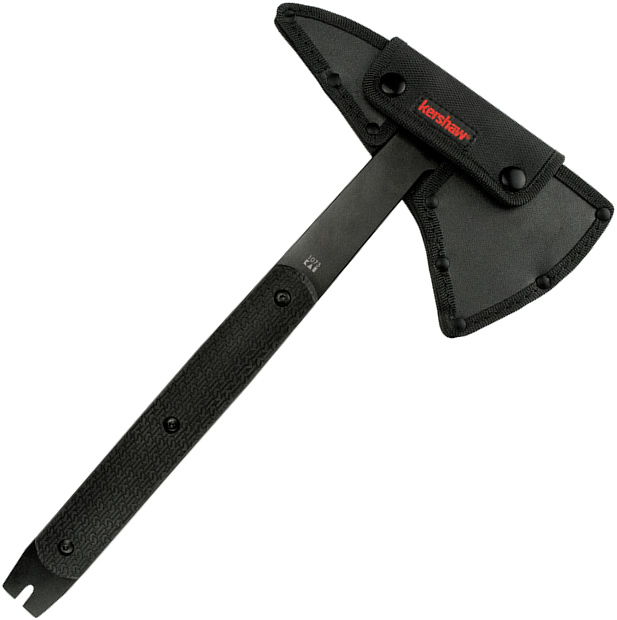 The end of the handle has a nail puller and it can also be used as a pry bar. 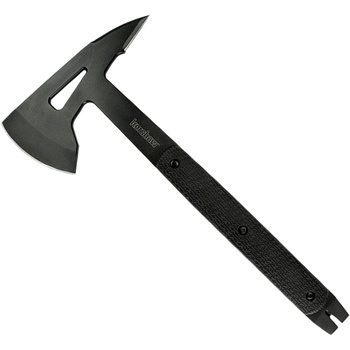 This tomahawk comes with a kydex sheath that has nylon straps and nylon belt loop.